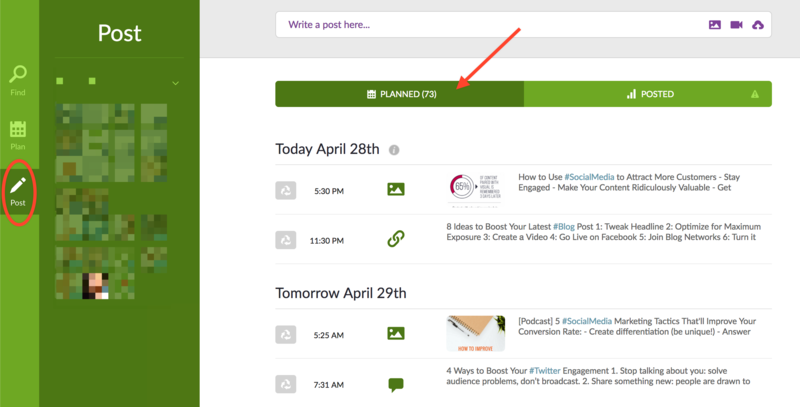 When you schedule content in Post Planner, you'll find it under Post and the Planned tab. To see your scheduled posts simply click on the "Post" icon on the left sidebar while in the app. Here you can click on individual account avatars to see the posts scheduled for that page or profile. When you first land on the "Posts" page you'll see the posts from the accounts you have selected as your "Defaults" in Settings. You've found your scheduled content and successfully edited a post!